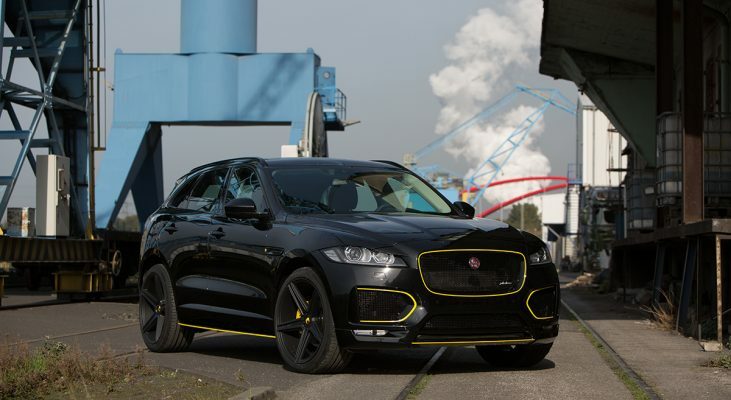 Arden offers an exclusive product portfolio for the Jaguar F-Pace exterior. 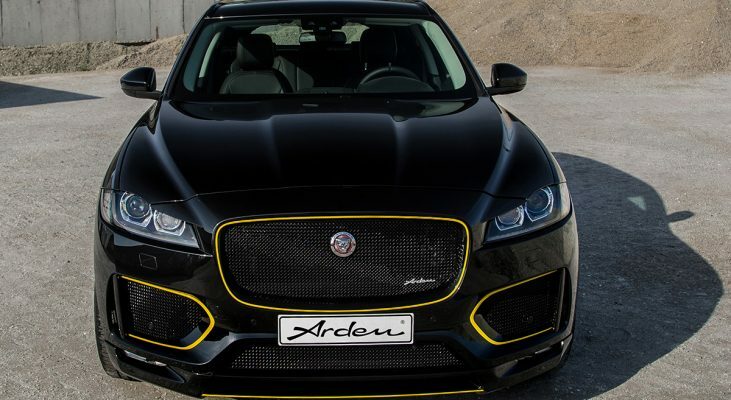 The hand made stainless steel grille inserts in combination with the Arden Front Spoiler emphasize the elegant sportiness of the SUV. 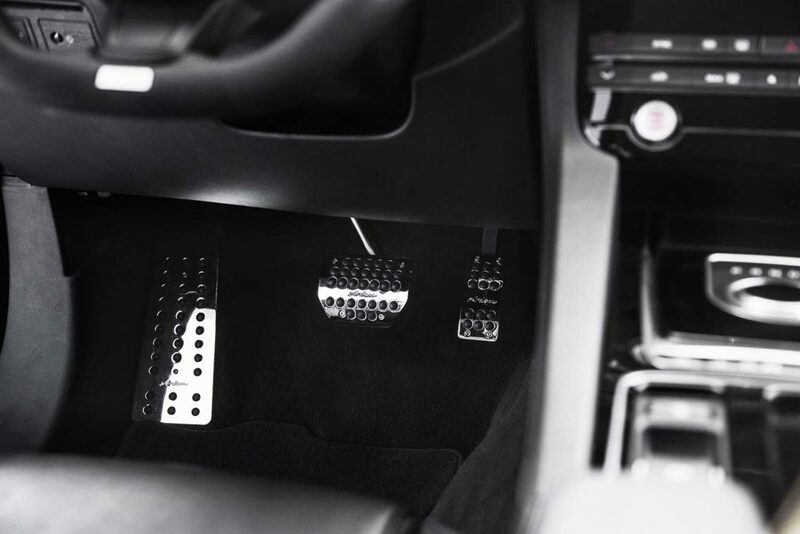 The grille inserts are also available in other colors on request. 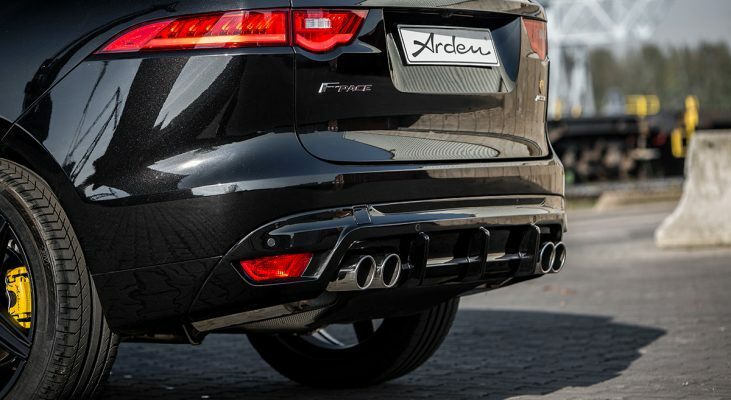 The rear view of the Arden AJ 25 is enhanced by the stainless steel exhaust tips of the Arden Rear Mufflers, surrounded by the Arden Bumper Insert. 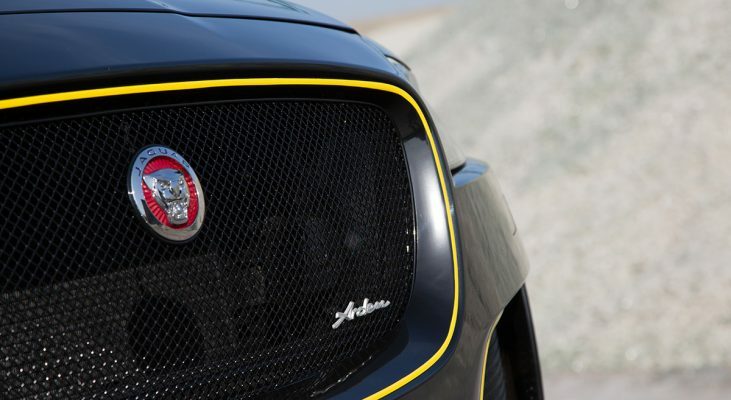 A finishing touch for fans of Jaguar nostalgia is the classic leaping cat on the bonnet above the radiator grille. The Arden Leaper is technically perfectly manufactured and an expression of Arden‘s love for attention to detail. 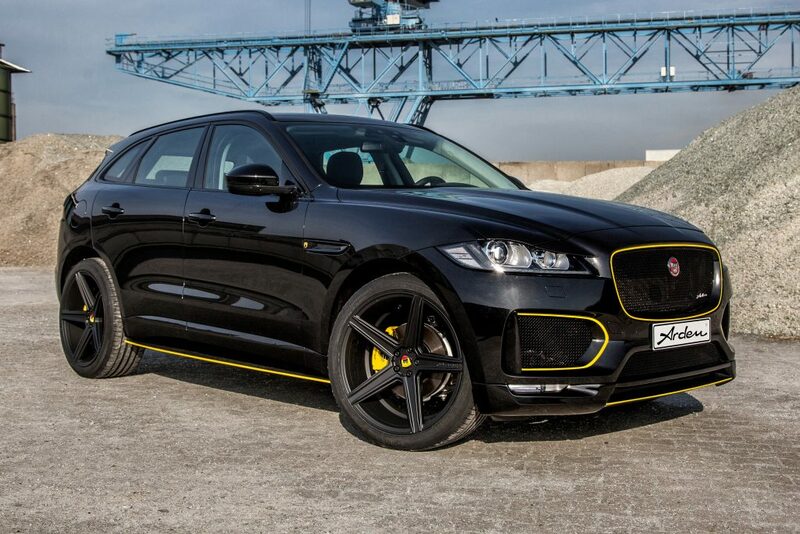 It is, of course, approved by the German TÜV. Arden tuning – for that decisive extra! 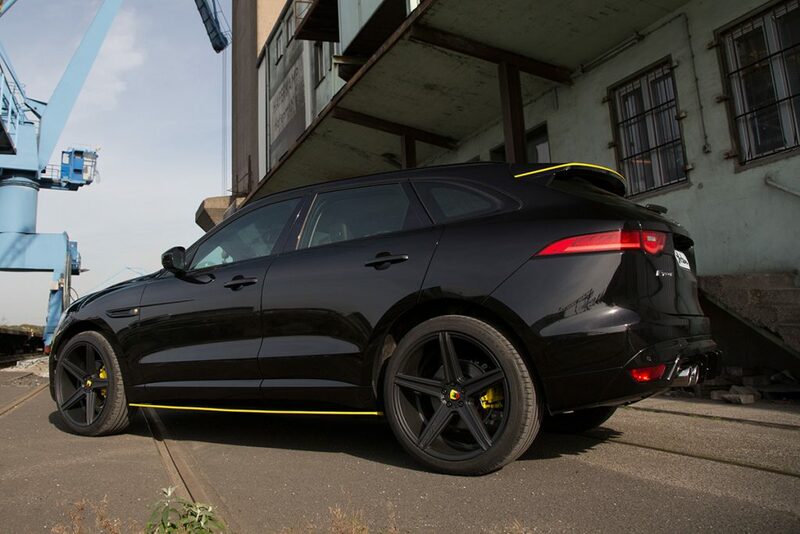 In order to complete the sporty appearance of the Jaguar F-Pace, Arden offers wheel spacers in sizes from 32 to 60 mm per axle. 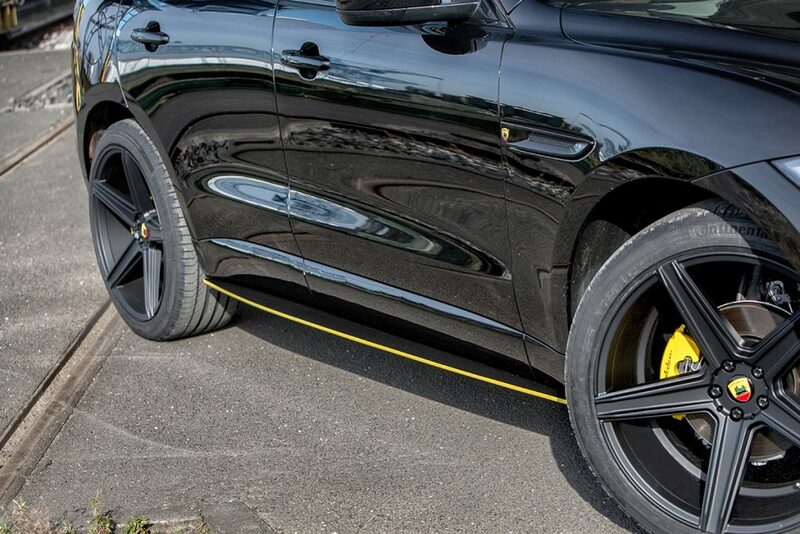 Widening the track of the vehicle using wheel spacers also improves the driving performance. The Arden Sport Springs lower the vehicle by approx. 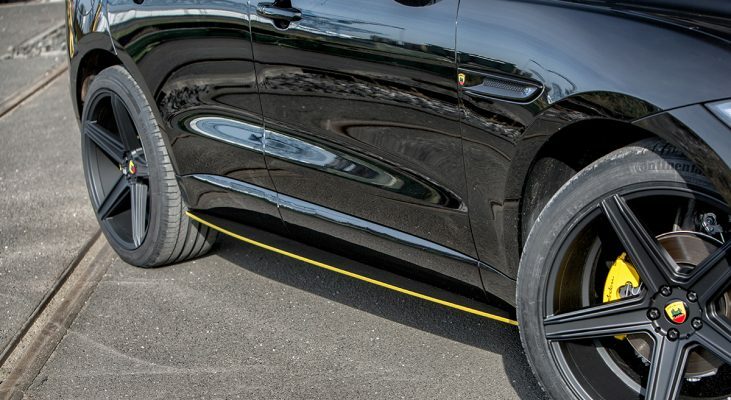 20mm and enhance the drivability especially at high speeds. 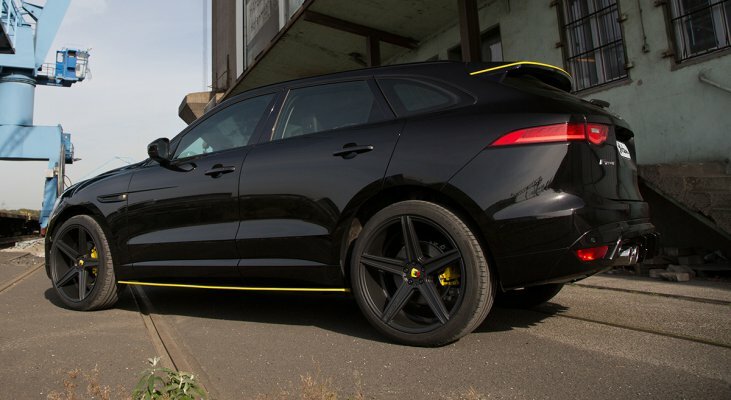 All Arden aerodynamic components are developed using state-of-the-art 3D scan technology and CAD, which allows perfect fitment. 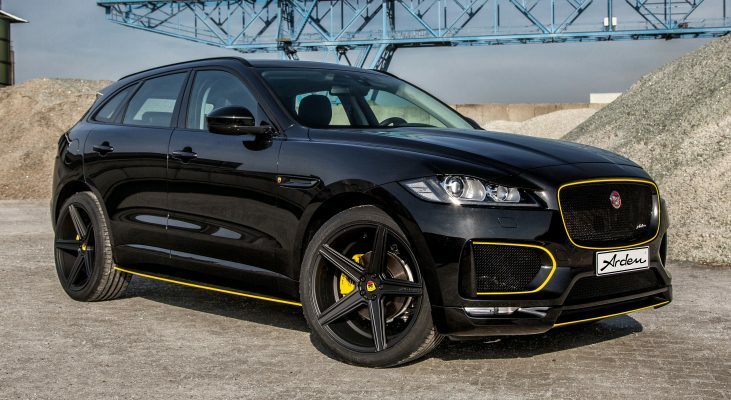 Arden offers performance kits and Vmax-removals for various F-Pace models. 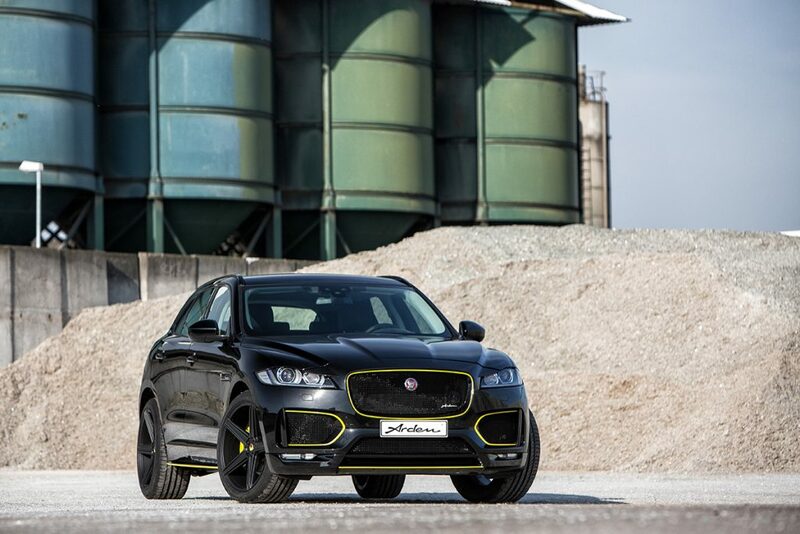 The performance kits focus on improving the torque curve and thus considerably enhance the driving characteristics of the vehicle. 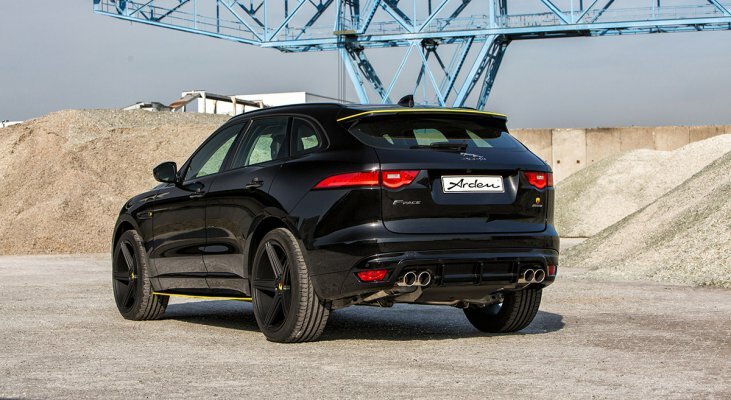 For those who want to combine the efficiency of a diesel engine with the feeling of driving a V8 petrol engine, Arden offers the Active Soundsystem, which generates an authentic sporty engine sound without being directly connected to the exhaust. 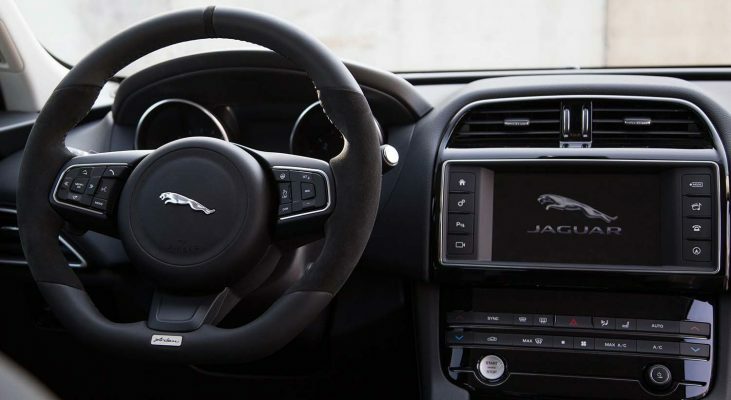 The driver can choose between different sound profiles at the touch of a button. 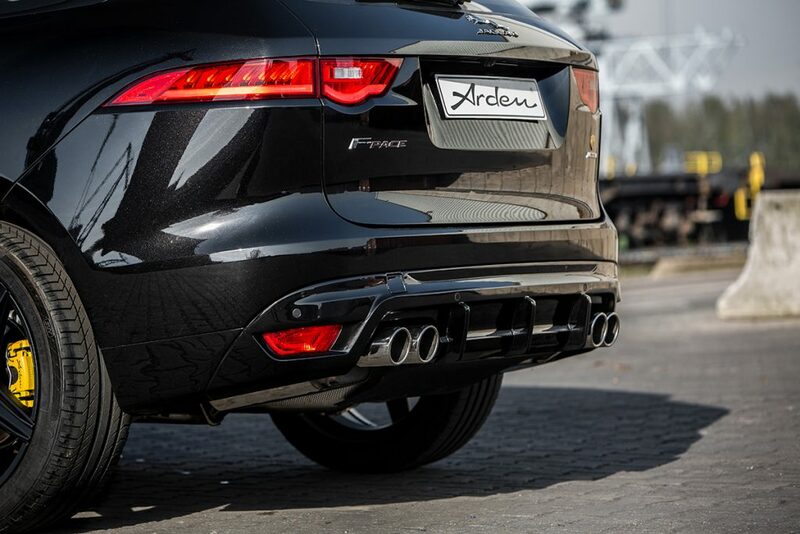 The Arden product range also encompasses sport rear mufflers for F-Pace models with petrol engine. 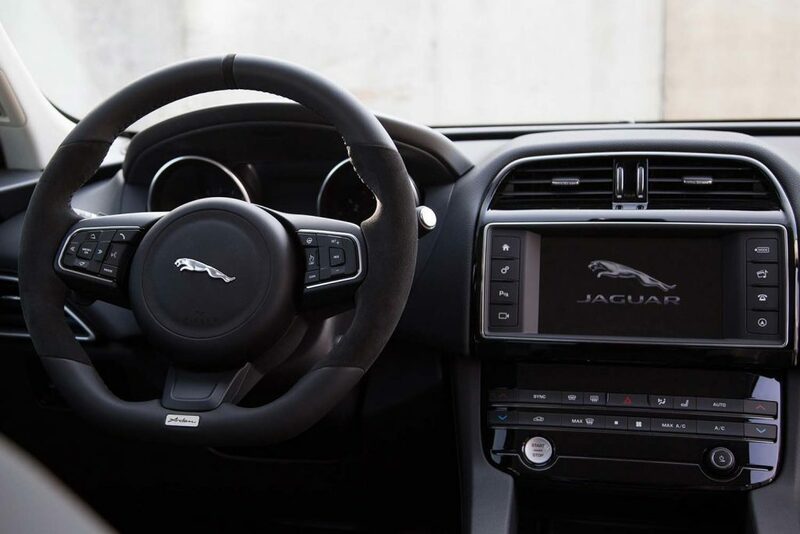 Personalize your Jaguar F-Pace in the interior. 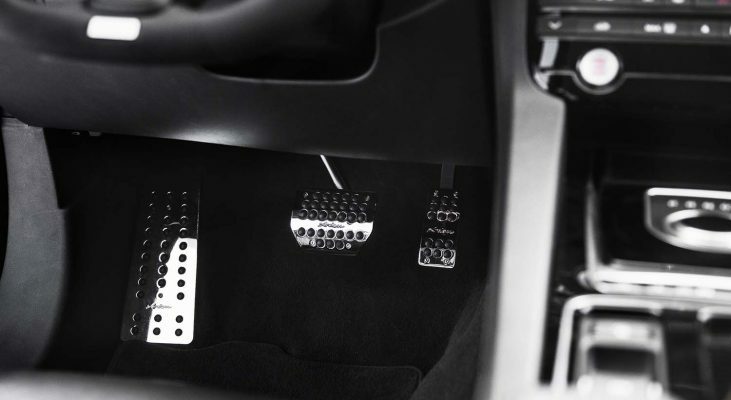 The Arden aluminum pedal set is highly polished and ensures greater safety and a sportier look. 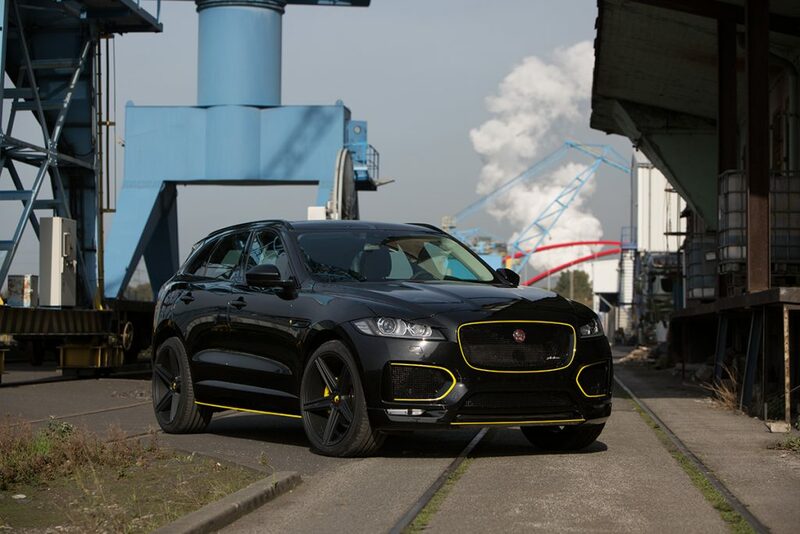 High pile, handmade Arden rugs transform the cockpit of the Jaguar F-Pace into your own personal feel-good zone. 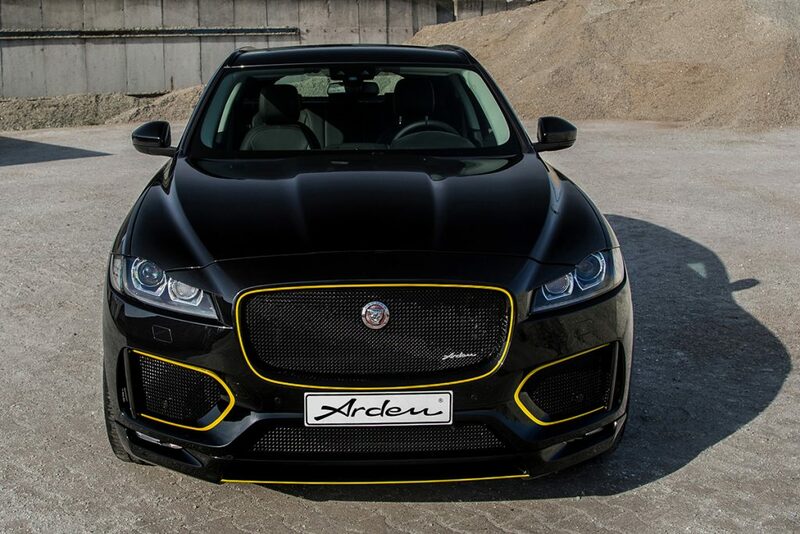 The Arden team will also be pleased to make an offer for an individual interior in full leather, alcantara, carbon or real wood. 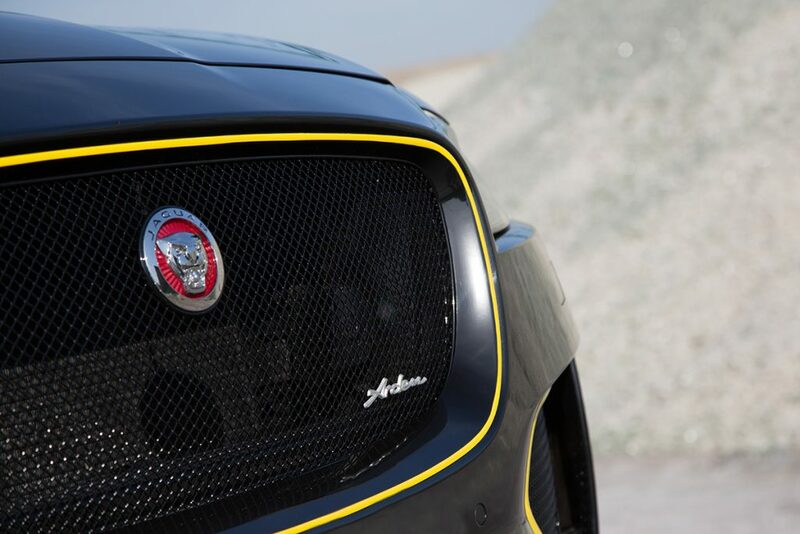 Also for this Jaguar model, the TÜV-certified Arden Jaguar radiator figure nestles harmoniously on the front of the vehicle and gives the big cat thus another noble touch. 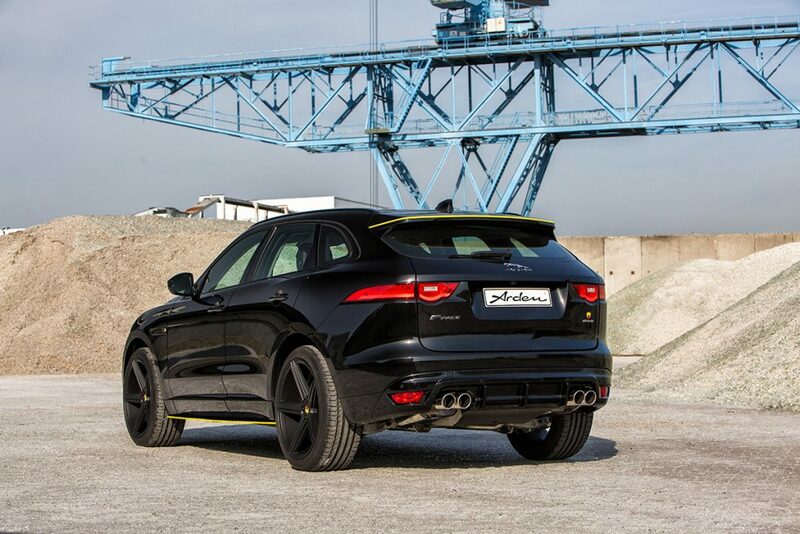 Combine the efficiency of a diesel engine with the driving experience of a V8 petrol engine. 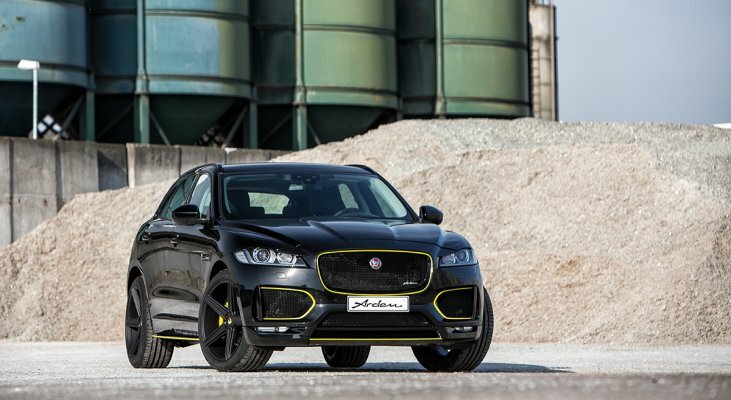 The Arden Active Sound System gives your F-Pace a powerful sound and acoustically emphasizes the sporty appearance of the vehicle. The different sound levels can be set individually by the push of a button. Convince yourself of the unique sound experience in the Video.